Give your team easy access to Slab with Okta SAML. 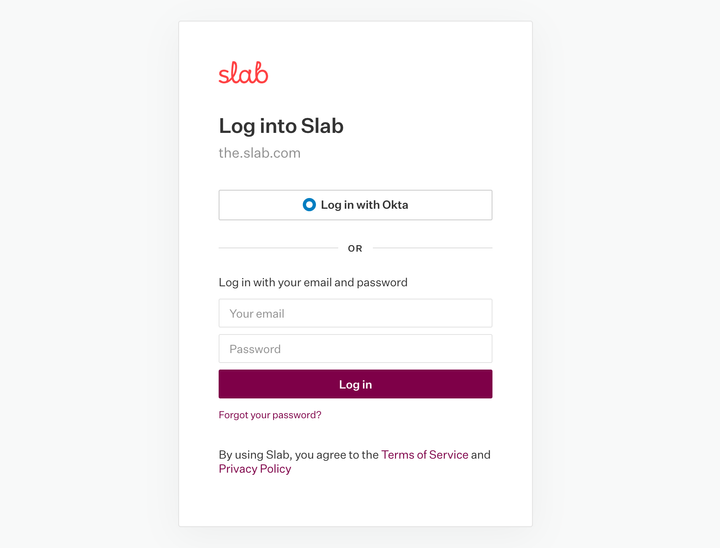 Streamline your process without having to create a new Slab account for every new hire. Through the admin dashboard, you can enable or force Okta SAML SSO to give your entire team easy access to Slab. This integration is only available with the Business and Enterprise plans. Some features of this integration require admin installation. See help article linked below.